This video is the wrap-up and closing of the Get in Rhythm. Stay in Rhythm.TM Atrial Fibrillation Patient Conference. Video watching time is approximately 3 1/2 minutes. Mellanie: Please take a couple minutes to fill out the yellow evaluation forms that you received when you registered this morning. The information is really important to us, for a couple of reasons. One, we really need to find out, did you learn something this morning? And if so, what actions might you take as a result of what you learned? That will help us in coming up with our future programs. We hope to have an atrial fibrillation patient conference next year, as well. That will help us in formulating that, and obviously, we have really zoomed through all of this. We'd really like to go even more in depth next year, so please give us your feedback on what you've learned. 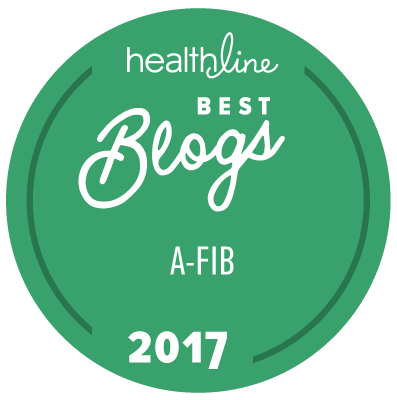 As you go down through the evaluation, it will ask you things like ‘Are you a patient, caregiver, or other?,’ 'What type of afib do you have?’, and ‘is it paroxysmal, or persistent?' If you'll identify, before you came here today, what was your level of knowledge about managing afib, with one being none, and ten being thorough knowledge. And then, what is your knowledge leaving today, one to ten. Then, ‘what was the most valuable thing you learned today?’, ‘What actions, if any, will you take as a result of what you learned?’, and then ‘can we contact you in 3 months to find out, was there some action that you took as a result of what you heard today?’ If it's okay for us to contact you, please put your contact information there. Please also share with us any comments that you have about today's event — the programs, speakers, venue, food — anything related to this. It will help us make the next event much better. Finally, if you'd like to receive our newsletter and are not already receiving it, just check that and give us the email address you'd like it sent to. Let me thank you for coming today. I'd like to also thank our presenting sponsors, Baylor Heart and Vascular Services at Dallas and the Heart Hospital Baylor Plano; our industry sponsors, Boehringer Ingelheim, Medtronic, and Sanofi; and our official mineral water sponsor, Gerolsteiner. Please give them a round of applause. Lastly, as you leave today, please take a bottle, or several, of Gerolsteiner with you for the next time you go into afib. Please, let me know if it helps with your afib. This is some research we would like to do. We want to know is this something that helps? Please make sure and take some Gerolsteiner with you. Thank you all for coming, we hope to see you on the forum, and we hope that today helped you to get in rhythm and stay in rhythm. Thank you so much, and thank you panel.